Lita was a princess without a throne. 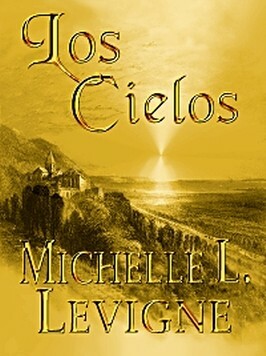 Betrothed as a child to Emmanuel, heir to the other royal family that claimed the lost kingdom of Los Cielos, she grew up planning to do her duty, heal the land, and fulfill prophecy. Somehow. When Emmanuel died, his brother Esteban demanded she continue the betrothal -- to him. What else was she to do, but her duty? But when prophecy awakened and Esteban decided to recover Los Cielos without her, the mysterious Black Monks, guardians of the royal family, acted. Obeying a telegram that summoned her to Los Cielos, Lita met Eduardo, the youngest of the three brothers. When they discovered they were both being manipulated and lied to, they became allies and determined to regain Los Cielos without Esteban, so Lita could be free of him. A reformed scoundrel and drunkard, Eduardo pledged himself to be Lita’s defender, knowing Esteban would kill him for it. He warned Lita never to love him, but he had already lost his heart to her. Dying for her would finally cleanse him of all his crimes. Under the tutelage and care of the Black Monks, Lita and Eduardo ventured underground, in search of the water that would give life back to a kingdom of vineyards. The closer they got to the lost kingdom and the curses that destroyed it, the more secrets and heartache they uncovered, at the risk of their lives. And possibly their hearts.